W. W. Norton & Company, 9780393313482, 336pp. Elizabeth Wayland Barber has drawn from data gathered by the most sophisticated new archaeological methods--methods she herself helped to fashion. 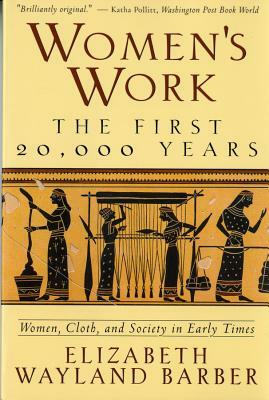 In a "brilliantly original book" (Katha Pollitt, Washington Post Book World), she argues that women were a powerful economic force in the ancient world, with their own industry: fabric.